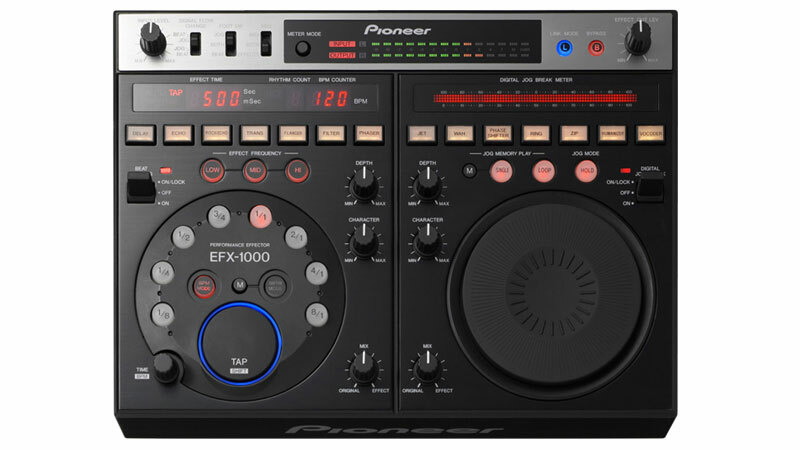 The EFX-1000 is equipped with the same automatic BPM counter/beat effector made popular by the EFX-500, which allows effect processing on single selected bands in sync with the track tempo (BPM), for greater expressive possibilities than with conventional all-band effectors. This industry-first rhythm effector lets you apply effects in sync with a rhythm you input yourself. With the capability of a far wider range of unique effects compared to previous beat effectors, you have the potential for a new level of DJ performance.